The new Boston and District Bowls League season is underway in the three wood (12 player) Divisions One and Two and the three wood (nine player) league. 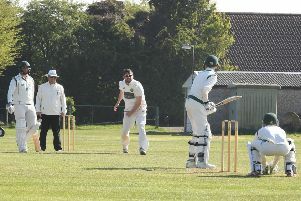 In the Three Wood Division One, there were three home and three away wins. Sleaford Road visited Boston West End and came out on top 72-52, Freiston A beat colleagues Freiston B 51-47 and Good Fellowship secured a very close victory at Sibsey A 79-75. The home winners were Forbes Road, who beat Burton House A 72-65, Wigtoft, who beat BBC 74-60, and Castle, who beat Kirton A 81-53. In Division Two, all were home wins with Freiston beating both Sibsey 90-47 and Swineshead 66-57, Boston West End beating Sibsey 77-49 and Wrangle securing 10 of the 12 points with a 69-59 victory. The Three Wood nine player league also began with wins for Stickney, Friskney, Frieston A, and Good Fellowship. Stickney secured eight of the 10 points by beating Billinghay 52-37, Friskney began their campaign with a win over Kirton 73-43, gaining all 10 points. Good Fellowship ran out winners against Burton House B 63-34, gaining nine points of the available 10. Frieston A won two fixtures, the first against club colleagues Frieston B, by a close margin of 51-47 and the second by beating Forbes Road by 42-27.